Learn more about VIPS and how it all began. Researchers and therapists who work with children who are visually impaired have demonstrated there is a direct correlation between early intervention and future academic success. Armed with this knowledge, a group of concerned parents and community volunteers founded Visually Impaired Preschool Services (VIPS) in 1985. Their mission was to enhance learning opportunities by providing early intervention services to young children with blindness or low vision and their families in the Louisville area. They began with grants of $10,000 each from Metro United Way and the WHAS Crusade for Children. VIPS started modestly with one employee providing eight families with home-based early intervention services once a week. As awareness of VIPS grew, so did the demand for services. In January of 2002, we began a $2.3 million Capital Campaign with the goal of additional space for office and support services as well as a Classroom Wing for center-based preschool services. VIPS purchased the building at 1906 Goldsmith Lane, renovated the space, and moved in December of 2004. 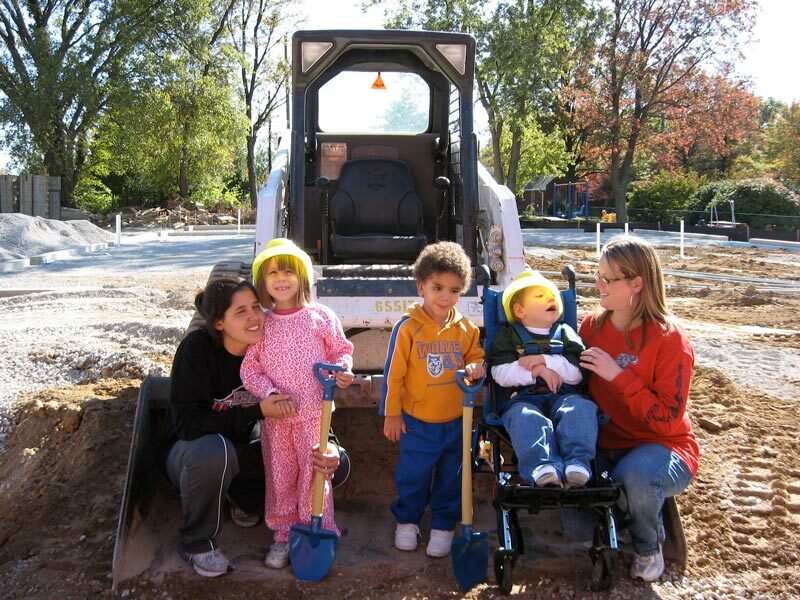 In the Summer of 2008, the Kosair Charities Kids Town and the Kentucky School for the Blind Charitable Foundation Classroom Wing were completed. In the fall of 2008, young children who were blind, visually impaired or deaf-blind from across the region came to VIPS for preschool. VIPS is the first preschool for children with blindness/low vision in the Commonwealth of Kentucky. Groundbreaking of the Goldsmith Lane addition in Louisville, KY.
Central Kentucky’s first office opened in Lexington in 1990. To better prepare for our growth, in 2015 we entered into a collaboration to locate our office at the Lexington Hearing & Speech Center and started a program for two-year-olds. Because our mission knows no borders, in August 2011 we opened a satellite location with two employees in Bloomington, Indiana. VIPS Indiana has grown exponentially over the years to serve children in need across Indiana. We moved the Bloomington office to Indianapolis in May 2014 to expand our reach. The office is now located within the Indiana Interchurch Center (IIC) which is a nonprofit that houses nonprofits. Today VIPS is a statewide agency in Kentucky and Indiana with a total annual budget of $2.4 million. In fact, in fiscal year 2016/2017, we served 526 children from birth to five years of age and their families. Our teachers and interventionists drove nearly 137,000 miles to provide direct services to young children with blindness/low vision. VIPS was the first and continues to be the only nonprofit agency in Kentucky and Indiana providing vision-specific services to this population of children.